Note: Bell Triton isn’t available anymore. Bell XLV took its place. You should have seen the look on her face when I put that hat on. Finding the right sized hat might be difficult. But here’s the good news. 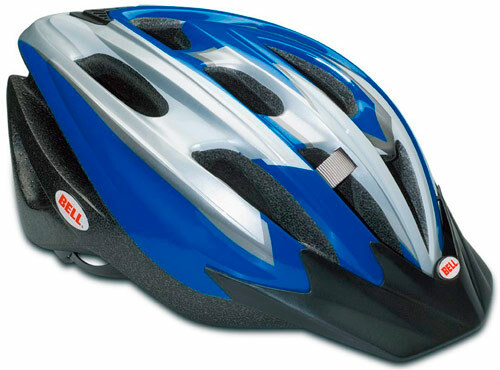 It’s a lot easier to find a bike helmet for your large head. Bell Triton for the rescue! It’s nice to see that helmet manufacturers thought about people like us. 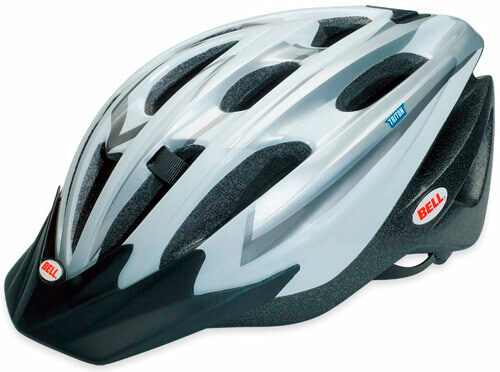 Except for the larger size, Bell Triton has the characteristics of other quality helmets. It’s safe, comfortable and fits great. It has 17 vents, which provide a really good airflow. A snug fit can easily be achieved thanks to Bell’s ErgoDial system. You can adjust the Triton’s fit while riding your bike, because a thumb and a finger are all you need. Bell Triton’s visor is removable. So if you don’t like visors on your helmet, it isn’t going to be a problem for you. It’s easy to remove and reattach. There are four holes in the front of the helmet where the visor is mounted. But they’re tiny and unnoticeable from a few feet away. Bell Triton is a large helmet. But don’t worry, it will look only natural on your large head. It’s all about proportions. I’ve had my Triton helmet for 4 months now, and I love it! The ventilation is very good. In the sun, your head will definitely feel cooler with the helmet than without it. This is especially true if you have dark hair. Companies tend to ask high prices when targeting a specific market. But Bell doesn’t do that with the Triton. You can check the price on Amazon. Also, you might want to take a look at the user reviews. 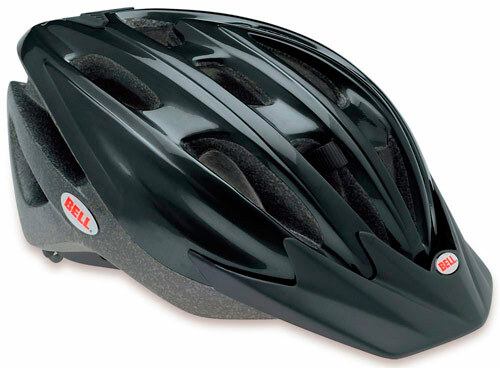 That about sums it up, I have been using mine for a year now – great helmet, decent fit, good airflow. Cheers, Bell!